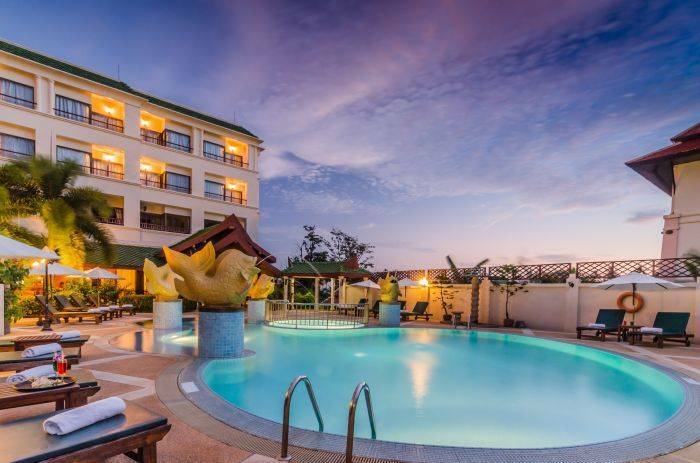 Located only 200 metres from Ao Nang Beach, Krabi Heritage Hotel is an ideal hotel for peace, relaxation and exploration while staying in Krabi, Thailand. Situated only 20 minutes from Krabi Town. 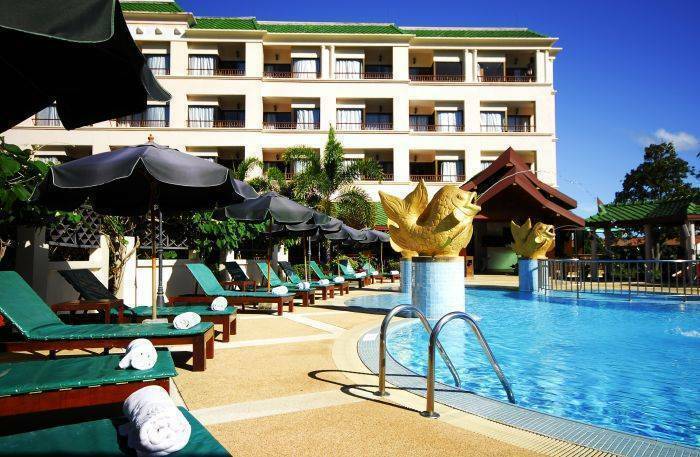 Krabi Heritage Hotel is ideally situated in tranquil corner of Ao-Nang Beach. The hotel is a shot 20 minutes car ride from Krabi town and 30 minutes away from Krabi Airport. 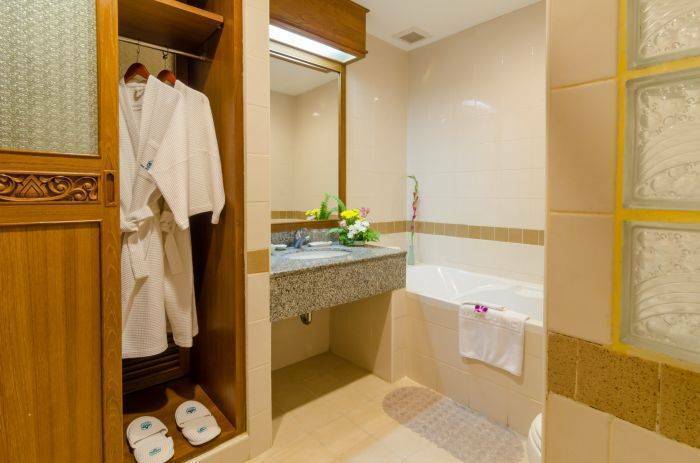 The hotel proundly offers 78 fully air-conditioned superior and deluxe rooms with private balconies. Each one carefully crafted for guest comfort and relaxation. 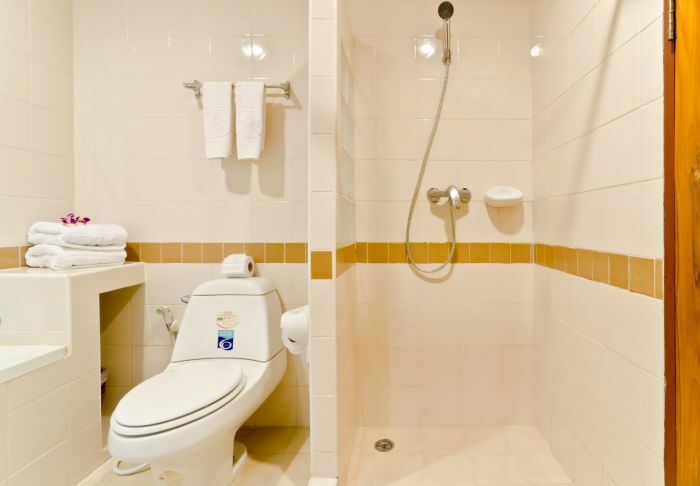 Each room provides amenities such as mini-bar, ensuit bathroom with separate bathtub and shower, satellite TV, and IDD phones. 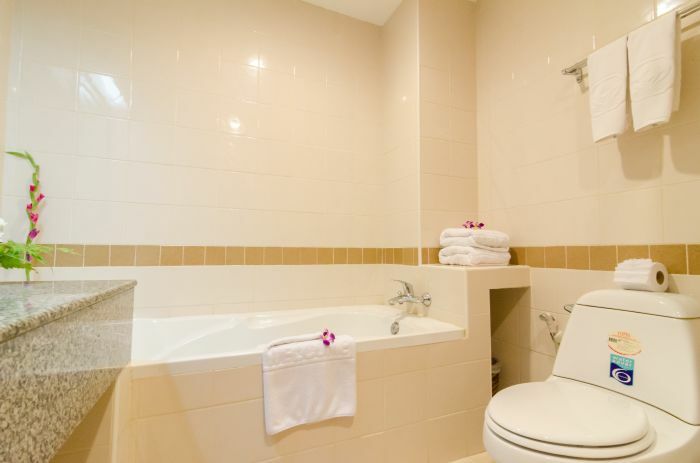 Krabi Heritage Hotel proudly offers 78 guest rooms with Thai contemporay design, 66 Superior rooms(29 sq. m.) and 12 Deluxe rooms(29 sq. m) with a magnificent of the sea and mountain. Guests room are luxuriously appointed with all finest amenities, and offer your panoramic views of mountain. With its modern confort and convenience. Ao Nang Beach serves as an excellent beach holiday destination with great variety of restaurants and shoping centre as well as an exciting getway to explore many other destianations Krabi has to offer such as Railay Beach, phra Nang cave, Hong Island, Phi Phi Island and Lanta Island. Located on the lobby level, featuring a large varieties of menu items to please every taste, ranging from the traditional Thai and International cuisine for breakfast, lunch and dinner. Cancellation can be made 7 days prior to arrival, if cancel later date than or no show will be charge for all entire period of stay as stated. Nearest airport: Krabi Airport 35 km.